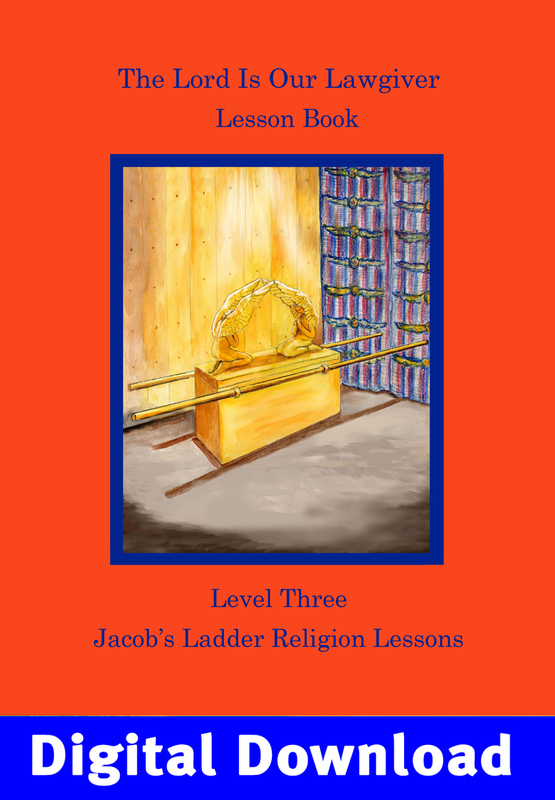 Jacob’s Ladder Program Level 3 offers a Lesson Book containing 36 scripted lessons illustrated in color for individual or group instruction. The first 17 lessons review the patriarchs of Israel and follow the story of the Exodus from Egypt, wandering in the wilderness, receiving the 10 commandments and building the tabernacle. There are 8 lessons on the spiritual world and how we choose our eternal home. Also included are lessons for festivals such as Christmas and Easter. Each lesson provides an explanation of the story to help parents and teachers deepen their own understanding of the Word, and ideas for making religion an active part of daily life. Use with the accompanying Activity Book to add a variety of activities! See sample lessons and activities at New Church Vineyard. Copyright New Christian Resources. All Rights Reserved. eCommerce Software by 3dcart. Visit NewChurchJourney.org for more information for leaders and participants. Email us at campaignteam@newchurch.org or call 267-502-4916.